At Emerald Dental Care, we are an amalgam-free dental practice. 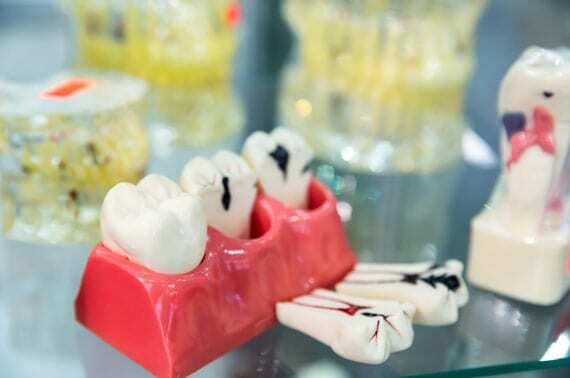 We use white fillings, which are made of either special composite resin or porcelain, to treat new cavities or to replace the existing old mercury (amalgam) fillings. The tooth coloured material is bonded to your teeth and restores its shape and function. In some cases, if the decay or fracture is large, a better option may be an indirect filling such as an onlay or a crown. The white fillings blend in seamlessly with your surrounding teeth, and are often unnoticeable, therefore you can speak and laugh with confidence without having to worry about the unsightly amalgam fillings. Get your teeth fillings done at Emerald Dental today for that guaranteed safer and cleaner looking filling!